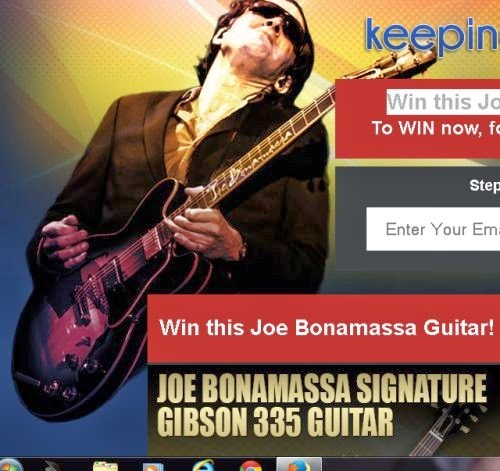 Freedom Rockz: Win a Joe Bonamassa Signature Gibson 335 Guitar! Win a Joe Bonamassa Signature Gibson 335 Guitar! Win a Joe Bonamasssa Signature Gibson Guitar! “The Keeping the Blues Alive Foundation”, a non-profit founded by modern guitar Blues Phenom Joe Bonamassa, is giving away Joe Bonamassa's signature series electric guitar in an effort to help Keep the Blues alive. Enter to win and share the message of great guitar music with your friends to do your part in keeping this music alive. EVERYONE IS A WINNER! Just click the link below to go to the website & enter your email address to win.